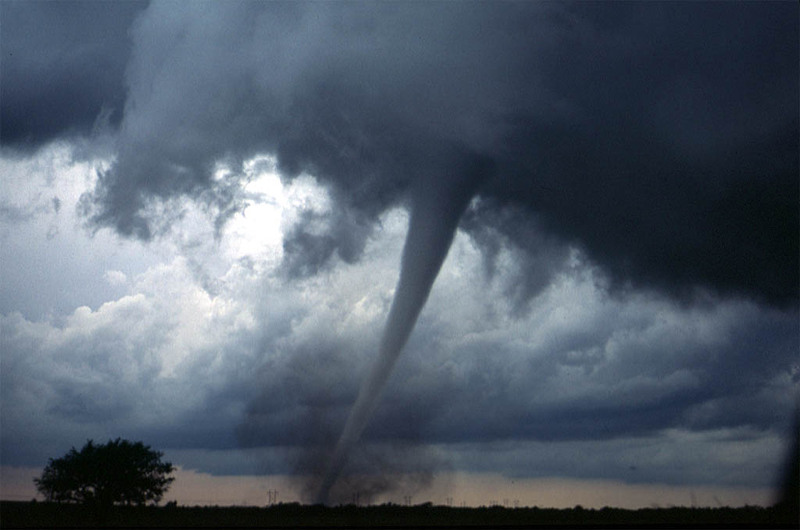 One of several tornadoes observed by the en:VORTEX-99 team on May 3, 1999, in central Oklahoma. Note the tube-like condensation funnel, attached to the rotating cloud base, surrounded by a translucent dust cloud. Originally uploaded at en.wikipedia; description page is/was here. 2006-07-30 06:04 Runningonbrains 1024×679×8 (61312 bytes) One of several tornadoes observed by the VORTEX-99 team on May 3, 1999, in central Oklahoma. Note the tube-like condensation funnel, attached to the rotating cloud base, surrounded by a translucent dust cloud. "